Saint Benedict Metals for Christmas? Thanks to Catholic Parent's Online a member of Catholic Media Coalition for sending me this. Cartoonists refurbished their stock of clichés, producing cloven hoofs, long sinuous tails, ugly contorted faces and terrifying implements of torture. For the cartoonists Paul VI was definitely not a modern man. Neither, as we’ve come to learn, is Pope Francis—if by “modern” we mean an abandonment of the supernatural, and a flight from Christianity’s most challenging teachings. Like his venerable predecessor, Francis has made it a point to draw the world’s attention to the wiles of the devil. But whereas Paul waited nearly ten years to speak so dramatically about Satan, Francis took only a day. At stake is the total rejection of God’s law engraved in our hearts. Let us not be naïve: this is not simply a political struggle, but it is an attempt to destroy God’s plan. It is not just a bill (a mere instrument) but a “move” of the father of lies who seeks to confuse and deceive the children of God. President Cristina Kirchner, who pushed hard for the radical legislation, responded: “Bergoglio’s position is medieval.” But truth is objective and not time-conditioned, so Bergoglio’s defense of marriage stands. During the pontificates of John Paul II and Benedict XVI, the devil was by no means downplayed: John Paul’s Catechism highlights his presence, and Benedict was inveighing against Satan long before he became pope, notably in the Ratzinger Report. But Francis has taken the subject to a new level. He has three very clear ideas about humanity’s struggle against Satan. The first is that no one should ever use the devil to excuse scandal, immorality, and criminal behavior—as has sometimes happened in the Church. The faithful Christian always accepts personal responsibility, and understands that the devil can never force us to do anything against our will. He tempts, he misleads, he brings us to the point of danger, but in the final analysis, it is our choice whether to succumb to evil or not. The second principle is never to allow our fight against Satan to end dialogue with our opponents. Back in May, Francis proclaimed, “You cannot dialogue with the prince of the world,” and his statement immediately provoked questions: How can we improve anything in a conflicted world, if we demonize our opponents and summarily end dialogue with them? But that’s not what Francis said, in context. In the very next sentence, he stressed the importance of dialogue, which is “necessary for peace.” What he meant by warning us never to dialogue with the devil is never to sacrifice ultimate truth when meeting with our opponents—not that we shouldn’t search for common ground, or try to win hearts for Christ. Do I guard myself, my heart, my feelings, my thoughts? Do I guard the treasure of grace? Do I guard the presence of the Holy Spirit in me? Or do I let go, feeling secure, believing that all is going well? But if you do not guard yourself, he who is stronger than you will come. We need to keep driving that message home. For as Pope Francis keeps reminding us, until the Lord returns in his full triumph and glory, the smoke of Satan is here to stay. William Doino Jr. is a contributor to Inside the Vatican magazine, among many other publications, and writes often about religion, history and politics. He contributed an extensive bibliography of works on Pius XII to The Pius War: Responses to the Critics of Pius XII. His previous “On the Square” articles can be found here. Archdiocese of Portland's Office of Justice and Peace Still Funding Same Blatantly Anti-Catholic Organizations. These organization are chosen by the CCHD Committee. These programs are funded year after year supporting values against the Catholic church. Sometimes fungible funding makes grantees seem in accordance with Church teachings, but this actually lets them use monies to work against the Church. 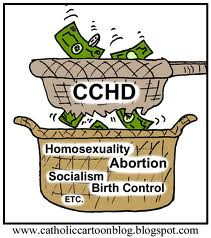 When CCHD collections are not supported the Catholic church organizations are forced to find other avenues of revenue which is really a good thing. We need to be good stewards of our collection plate. We need to know who's on the CCHD Board and their biographies and if they are being open to all people and not just their friends. The Catholic Campaign for Human Development has awarded three Oregon organizations with its 2012-13 national grants. Two additional organizations were awarded Technical Assistance Grants. The Archdiocese of Portland's Catholic Campaign for Human Development has also awarded its 2013 local grants to five programs that aim to fight the root causes of poverty. CCHD is the Catholic Church's domestic anti-poverty program. The campaign assists local anti-poverty groups in organizing programs by and for poor and marginalized people. Grant applicants are assessed on their ability to find solutions to local problems and to improve local economic conditions. Community Alliance of Tenants (CAT) is Oregon's only grassroots, tenant-led, tenant-rights organization. CAT educates, organizes and develops low-income tenants into community leaders to challenge unjust housing policies and practices and obtain safe, stable and affordable housing. CAT's Housing Justice Program organizes buildings' tenants and empowers them to secure housing improvements and repairs. Organizing apartment buildings develops tenant leaders and increases tenant knowledge and power. Tenant leaders become advocates, organizing renter-identified housing policy campaigns including: increased funding for affordable housing, rental inspections, and barrier free housing opportunities within the Oregon Landlord/Tenant statues and local policy. This CCHD grant will fund the Housing Justice Program's efforts to mobilize and empower low-income tenants in buildings with serious repair problems to win immediate improvements; work for long-term funding for affordable housing; developing leaders to initiate campaigns for improved protections for tenants; and develop a comprehensive response to unsafe housing. CAT is the epitome of CCHD and Catholic principles of listening to the cries of the poor and empowering them. Hacienda Community Development Corporation (HCDC) works with a group of low-income Latino entrepreneurs to develop metro Portland's first Latino Public Market (the Mercado), owned and operated by a cooperative of the market vendors themselves. The Market is currently in a start-up phase. While most of the Latino-focused CCHD-funded organizations in Portland work on metro, county and state immigrant right, all legislative issues, Hacienda CDC works on issues of economic opportunity for working Latino families and others in Oregon by promoting healthy living and economic advancement. HCDC is unique. MACG Vision is the only established community organization with an identifiable faith-based -- Catholic -- element. Its organizing efforts are in the Latino communities of Catholic parishes. MACG Vision applies the tools learned through training to change the culture of their parishes to ones that are based in strong relationships, shared leadership, and accountability among members. Routinely in Catholic churches, skills learned through leadership training are used to share stories and strengthen community relationships. This CCHD grant will fund its Latino Organizing outreach efforts to current and prospective member institutions with low-income and/or minority populations, focusing especially on the diverse, low-income East Portland/East Multnomah County areas, and fund a Latino organizer who will organize Latino members of these current and prospective member institutions. Huerto de la Familia offers Latino families a place to connect with their roots and the earth by growing their own food. Its vision is to cultivate community integration and economic self-sufficiency by offering opportunities and training in organic gardening and farming, and the development of food and farm-based micro-enterprises. Thirty-percent of Oregon Latinos live below the Federal Poverty Level. The Cambios Micro Development Program offers business training and business counseling to Spanish-speaking individuals who want to create or enhance food and farm businesses and transition from laborers to business owners. Specifically, the program supports individuals in developing business plans, financial literacy, and marketing skills. Huerto de la Familia has previously been awarded local and national CCHD grant. It is the only CCHD-funded organization in the Eugene Metropolitan area. We are glad to continue a wonderful relationship. Madonna's Center is a uniquely-designed response in Clackamas County serving Madonna's Center serves teens (age19 and under) who are “with child” and without essential family/financial support or not eligible for government-funded programs because of age/circumstances, and are assuming primary responsibility for parenting their children (age 3 and under) while also working towards self-sufficiency. Madonna's Center serves Clackamas County, has Catholic roots, and is dedicated to protecting new life. This CCHD grant funds the teen parents' efforts to mobilize to advocate for changes in public laws/policies regarding housing solutions for teen parents. Teen parents advocating for changes to unjust structures that are keeping them from succeeding. CCHD funded them two years ago for another project and it was remarkable to see the confidence instilled in these women. Salem-Keizer Coalition for Equality (SKCE) organized in the Latino migrant community to develop meaningful parental involvement to increase the graduation rate for, and educational outcomes of, low income and minority students in Salem-Keizer. Education is the surest way out of poverty. SKCE is located in Salem, with workshops in Corvallis and Southern Oregon. This CCHD grant will partially fund Reading Together We Advance (Leyendo Avanzamos), a parent-led, outcome-based family literacy project empowering low-income, Spanish-speaking parents of struggling or at risk pre-kindergarten, kindergarten, first-, or second-grade students to become engaged in their children's school. Unete is a volunteer-led movement of farmworkers and immigrants in rural Southern Oregon educating their community and advocating for worker rights, humane immigration policy, and full participation in the decision-making processes affecting their lives. The CCHD funds Unete's organizing efforts -- Voces Unidas -- to improve educational outcomes for Latino students in the Medford School district. This program includes Parent Education, Peer Tutoring for Elementary through High school students, and parent leadership development, which gives parents the tools to advocate for their children in the public school setting. Unete is the only Latino-led non-profit in the Rogue Valley and would be the only CCHD-funded organization in southern Oregon. Voz Workers' Rights Education Project (Voz) is a worker-led organization that empowers day laborers to advocate for their own just working conditions through leadership development, community organizing, and policy reform. Voz operates the Martin Luther King, Jr. Worker Center, where day laborers find work and build community skills. Voz is recognized as a leader for immigrant rights, especially at the local level but also at the state level, with an office at St. Francis Catholic Church. CCHD funds will support Voz's efforts in its "Save the Center Campaign," mobilizing day laborers and community members to advocate the City of Portland government for a permanent solution for a Worker Center. New City Kitchen and Catering is a project of New City Initiative that provides employment training and opportunity to people who have experienced homelessness. It also creates its own employment opportunities through a newly-launched catering program. By creating employment opportunity, New City Kitchen supports respect for human life and dignity as well as cultural diversity (racial minorities are disproportionately represented in the homeless population). This social enterprise has a promising future. To solidify this promise, New City will receive a Technical Assistance Grant for Business Planning. OPAL Environmental Justice Oregon (OPAL) is a grassroots community-based organization working to educate, engage and empower low-income communities of color to build leadership and capacity to effectively participate in the civic process to protect their community health and interests. It is the only membership-controlled, environmental justice organization supported by CCHD. OPAL receives a Technical Assistance Grant for Strategic Planning for its Bus Riders Unite (BRU) membership program, focusing on developing BRU's core leadership, membership retention, and membership-driven campaign work. This project seeks to educate and mobilize transit-dependent riders in East Portland to engage in a community-driven project to increase the accessibility, safety and connectivity of transit, and to build awareness of the connections between transit and positive health outcomes. The project will also create opportunities for meaningful engagement in local decision-making and advocate for prioritizing the needs of transit-dependent communities. Organizing a voice for the voiceless. Ex-abortionist surrenders abortion instruments to Pope Francis. ROME, October 1, 2013 (LifeSiteNews.com) – A former abortionist’s far-fetched dream of surrendering the medical instruments with which he had once performed abortions to Pope Francis became a reality recently, when, to his astonishment, Dr. Antonio Oriente found himself face to face with the pontiff. In a testimony posted to Facebook, Dr. Antonio Oriente expresses his surprise at the encounter, explaining that he had originally decided not to go to Rome for a conference of gynecologists to which he was invited, because of a father-in-law in “grave health” and the fact that there was no guarantee he could even see the pope personally. But at the last minute, he changed his mind. A fellow member of AIGOC had confirmed that the group would be included in a papal audience for the conference, but said only a small number would be able to meet personally with the Holy Father. Of AIGOC, he said, only the president and secretary were in that number. “I knew I could not confer with the Pope, and that therefore my desire to give him the surgical instruments which I used as an abortionist would have been nearly impossible,” Oriente said in his testimony. But despite these reservations, and worries about bringing the instruments on a flight, Oriente decided to take the flight up from Messina to Rome, “after I prayed and asked the Lord just the same”. After explaining his desire to hand over his abortion instruments at an audience with Pope Francis, airport security authorities in Palermo allowed him to fly. “But in the meantime the boarding had concluded and the doors of the boarding gates were locked. But even here,” he wrote, “I prayed in my heart.” A policeman called a fellow employee, who allowed Oriente to reach the plane and board. Oriente told ACI Prensa that he became an abortionist for the money, but changed his mind after he married and he and his wife experienced the pain of infertility. He attributed the start of his conversion to a meeting with a Christian couple who invited him to a prayer meeting, “to achieve some peace”. Previously, he said, God had seemed like nothing more than an “obligation,” but at this meeting he encountered a merciful God. AIGOC, based at the famed Gemelli Catholic hospital in Rome, was formed in 2009 in order to make “a preferential choice to improving the life and health of mothers and children, either born or unborn, through new service initiatives, training, research and publicity intended to combat abortion in its varied forms, maternal mortality and perinatal, obstetric conditions”. Government statistics from 2011 said that throughout the country, 70.7 per cent of gynecologists are conscientious objectors; 51.7 per cent of anesthesiologists, and 44.4 per cent of all nurses, also refuse. Responding to LAIGA’s claims, Dr. Noia said that the choice of the majority of medical objectors was “formed by their awareness of the physical and psychological damage caused by the interruption of pregnancy”. A Definition of Infallibility in Light of the Pope Francis Interviews. VOCAL has highlighted passages that are sure to be helpful. Again, our world is turning upside down as the Scriptures have taught Isaiah 5:20. We have three foundations of our Faith. Tradition, Scripture and Magisterium How God Speaks to Us. There is nothing new under the sun. The following essay was written by a theologian in Rome who specializes in ecclesiology. The advent of mass media has raised a number of issues with regard to interpreting and evaluating the words of the Roman Pontiffs. This essay will look, very briefly, at two of those issues: papal infallibility (how to determine if a given papal statement is infallible); and how Catholics can respond to non-infallible papal statements. It’s important not to unduly limit the extent of this teaching. Anytime the Pope definitively decides a question of faith and morals, for the whole Church, he acts infallibly. Examples include not only the teaching on the Immaculate Conception and on the Assumption, but also moral questions such as Pope John Paul II’s condemnation of direct abortion in Evangelium vitae. It also includes, for instance, the canonization of saints (but not beatifications). Infallibility is a charism, a special grace, by which God guarantees that the teaching in question is not in error. It does NOT guarantee that a teaching is expressed in the best way, or that the arguments advanced to support the teaching are necessarily true—that is, a pope might argue from erroneous scientific facts to a dogmatic conclusion. The dogma is true, even if the arguments are later determined to be inaccurate. The vast majority of a pope’s comments do not share in the charism of infallibility. This can be seen from the purpose of infallibility. The charism is granted to the pope in order to ensure that the pope does not lead the Church astray concerning the revelation granted once for all through Jesus Christ. All Christians are bound to accept, and believe in their hearts, all that the Church teaches. When a pope teaches in a definitive matter, all Christians are obliged to believe what he teaches. This means, though, that the pope must intend to bind Christians in conscience to believe what he is teaching. Clearly, off the cuff remarks in a newspaper or to a journalist do not meet this criteria. Even direct teaching, such as teaching in a General Audience or even in an Encyclical does not necessarily reach this level. A pope may believe his teaching is correct, may want Catholics (and men and women of good will) to believe something—but this is entirely different from invoking his supreme authority to compel belief. Canon law confirms this point, stating that for a teaching to be infallible, it must be clearly so. Once again, a distinction must be made. For a pope to clearly intend to make an infallible dogmatic judgment is an objective criteria. An infallible teaching does not become less than infallible because some people make the argument that it is unclear. Paul VI’s teaching on artificial contraception in Humanae vitae, and John Paul II’s teaching on the ordination of women to the priesthood in n.n. are manifestly infallible. The two popes explicitly intend to bind the whole Church to their teaching. That some theologians or others profess to not be certain whether these dogmas are clearly infallible is not sufficient to compromise the infallibility of those teachings. Now, how can we tell if a statement is an ex cathedra decision? Pastor Aeternus (chapter 4) lays out several criteria. 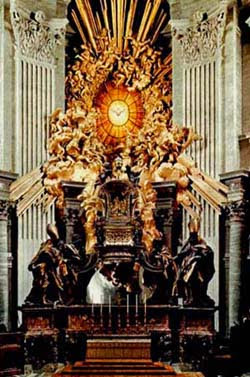 The Pope teaches ex cathedra—that is, infallibly—when, “exercising his office as pastor and teacher of all Christians he defines, by his supreme apostolic authority, a doctrine of faith or morals which must be held by the universal Church.” Vatican II essentially repeats this: the Pope, the Head of the College of Bishops, by virtue of his office, is possessed of the infallibility “with which the Divine Redeemer wished His Church to endowed in defining matters of faith or morals . . . when, as supreme pastor and teacher of all of Christ’s faithful and the one who confirms his brothers in the faith (cf. Lk. 22:32), he proclaims by a definitive act doctrine concerning faith and morals” (Lumen gentium, 25). With regard to the recent statements of Pope Francis, it is obvious—really obvious—that most of his comments are not infallible definitions. Letters to the editor, interviews with journalists, even daily homilies fail to meet the criteria necessary for a statement to be infallible. Although he may be speaking about faith or morals, he is emphatically not making a solemn definition that the Church must hold this teaching. Most often, he is speaking in a familiar manner about his own personal feelings. As many people have pointed out, precisely because he is speaking to individuals or to small audience, his remarks often lack the precision of a formal definition. Moreover, he is usually tailoring his remarks to that particular audience. Further, because of his informal manner of speaking, he often leaves out necessary precisions and clarifications that might help clarify his thought. It should be noted, too, that often he is not making an objective statement about the truth. That is, there are many kinds of statements that do not make truth claims. Questions, for instance, cannot be evaluated as true or false. “It is raining,” makes a claim that can be verified as true or rejected as false; “Is it raining?” does not make a claim one way or another. Pope Francis often uses rhetorical devices that do not make truth claims. Many statements, especially in casual conversation (Pope Francis’ preferred way of speaking) have a minimal truth value. When you say, “It’s a nice day” you’re not making a profound statement. It can be true or false in different ways, depending on the context in which it is said. It might mean the weather is pleasant, or that the speaker is having a good day, or that it’s a nice day for this time of year, or it could be a meaningless platitude. In none of these cases is the speaker making any profound claims about the niceness of that particular day—and he is certainly not obliging his hearers to accept this as the truth. Still, for all that he is nonetheless the Pope, and in virtue of his role as Vicar of Christ, he is given the graces necessary for his state in life. Of course, we all have the experience of failing to respond to the graces we are given; that one is given graces does not mean that we necessarily respond positively to them. However, because he is the Pope, we must have a certain respect for the man and the office, especially when he is trying to teach us or lead us into good Christian belief and practice. It seems obvious that Pope Francis is sincere in his belief. It is our duty, as good Christians, to be predisposed to think the best of what the Pope says and to be genuinely open to his teaching and docile to his leadership. Pope Francis, though, has himself called on the laity to take a greater role in the Church, and has called on us to challenge him and to make our own contributions to the Church. We can look at the Pope’s words and actions, and, with a spirit of humility and charity, come to the conclusion that they are not particularly helpful—or that they are positively counter-productive, even dangerous. In that case, we might have an obligation to speak out or even resist the Pope. I say might: one does not always have the duty to act, especially when one recognizes that acting would do no good, or that it might even cause greater harm. All of this calls for great prayer and discernment. The spiritual counsels that we must begin with humility and charity; that we must have a great distrust of ourselves and a great confidence in God; that we must begin by looking at and correcting our own faults, are all relevant and necessary. This doesn’t mean we must be perfect before we do anything—else we could never act. As always, we must rely on God to guide and direct us, doing what we can, with God’s grace, to know His will and to do it. Reading Francis: The Furor Continues - Great Analysis by Founder of Christendom College. In view of comments received, it seems I have no choice but to write something about Pope Francis’ interview with Eugenio Scalfari (or see the original Italian text), which appeared yesterday in the Italian daily La Repubblica. But I think I have to make a pact with my readers. We are under no obligation to follow the Pope’s every word; we are obliged to pay close attention only when he is exercising his Petrine ministry in relation to ourselves. On CatholicCulture.org, Phil Lawler and I have already suggested a number of keys to understanding the broader initiatives of this pope. He does give us plenty to think about. But it will not be fruitful to tie ourselves in knots every time Pope Francis makes a personal comment, or addresses himself directly to this or that person. So the pact I suggest is this: Let us take this interview in stride more rapidly than we did the last. Full disclosure: I find Pope Francis challenging. I also thinks it is very much a part of Pope Francis’ style to be deliberately provocative. For most of us, this requires an adjustment to what we normally expect of popes. Apart from this, it bothers me just a bit that I am more or less forced by circumstances to write commentaries like this one. I have, after all, my own plans, and I have a deep (and profoundly unChristlike) attachment to my time! But God sometimes takes us out of our own plans, and when He does, it is usually wise to pay attention to the reasons. Perhaps learning to take a sensible view of Pope Francis is the most serious task we have before us today…. Note this phrase “most serious”. Pope Francis used the same words when he said that youth unemployment and the loneliness of the old were the “most serious of the evils that afflict the world these days.” That is a neuralgic point, so we will return to the phrase. 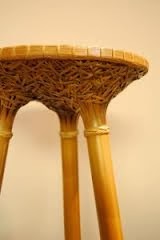 But before we do, let us clear away some simpler matters. The first point to be made about this interview is that it is an initial spontaneous conversation with someone who regards himself as being at an opposite pole from Pope Francis, namely an atheist. Right away then, we must toss out our expectations for what the Pope should say if he were instructing the faithful or giving a thorough explanation of some doctrine. He can do that; he has already written an encyclical on the virtue of faith. But we need to recognize that (if we have any sense at all) we should speak to different people in different ways. And we should also be as generous as possible (again, if we have any sense at all) when discussing sensitive questions with someone who is more or less actively opposed to our religion. We ought therefore to put on our “conversation-with-an-estranged-friend” glasses when we read this interview. We may, I suspect, presume that the Pope was mindful enough of the publicity it would receive to have undertaken it partly as an example of “Catholic dialogue” (which I will hereafter call “conversation", because “dialogue” has too much negative baggage). Now, in such a situation, which of us would not admit the unfortunate worldliness of the Church (in her members)? And which of us would not consider it a first step to acknowledge the importance for each person of attempting to pursue the good, even if his understanding of it is still quite limited? “That would be enough to make the world a better place,” the Pope observed, and there can be no question that he is right—even if much more will have to be said in the future conversations he told Eugenio Scalfari he hoped to have. When we consider the interplay between the two men on the question of “conversion”, we see more of the proper method of effective conversation, which is to limit one’s immediate intentions to the opportunities of the moment. It is typically unwise to state our ultimate hopes at the outset. Enemies of the Church would call this recognition “Jesuitical”! There is a human drama being played out here, and it is clearly the Pope’s intention that it be the human drama of Eugenio Scalfari. When enough time has been spent on the issue of “the Church”, Pope Francis makes an important move: “But now let me ask you a question: you, a secular non-believer in God, what do you believe in?” It is important for Eugenio Scalfari to explore the Church, Pope Francis seems to say, but it is also important for Eugenio Scalfari to explore Eugenio Scalfari—and for the Church to accompany him in that exploration. If an understanding of the “genre” of the text is important, so is a willingness to translate the Pope’s own modes of expression into modes with which some of us may be more comfortable. Let us assume here that most of my readers have what we call “conservative” tendencies. I already commented in an earlier essay that Pope Francis does not express himself in conservative categories: “He doesn’t seem to know the partisan shorthand; he refuses to speak in the secret code.” And why should he? Bishops have simply got to stop trying to be ‘players’ in the corridors of power. They also have to stop using the episcopal conferences to take prudential positions on everything under the sun. They need to preach the Gospel and teach moral principles. When it comes to politics, they need to get out of the way and let the laity do their job. What Is Most Important to Authentic Renewal? Finally, we need to give serious consideration to Pope Francis’ vision of what is required for the authentic renewal of the Church, for what he says must be understood in light of this vision. The need for Church leaders (not to mention those of us who read Francis) to avoid “narcissism” and the need to eliminate servile flatterers (“courtiers”, “the court”) from the retinues of popes and bishops are definitely part of it. The need to have a Church administration that “is not just top-down but also horizontal”, including a greater use of “synods”, is also part of it. But for Francis such improvements are to be placed in the service of a Church characterized by humility, solidarity, mercy and service. These are transformational, and this theme recurs in almost everything Pope Francis says and writes, not just the interviews. The most serious of the evils that afflict the world these days are youth unemployment and the loneliness of the old. The old need care and companionship; the young need work and hope but have neither one nor the other, and the problem is they don’t even look for them any more. They have been crushed by the present. You tell me: can you live crushed under the weight of the present? Without a memory of the past and without the desire to look ahead to the future by building something, a future, a family? Can you go on like this? This, to me, is the most urgent problem that the Church is facing. [T]he problem is that they don’t even look for them [work and hope] any more. They have been crushed by the present. You tell me: can you live crushed under the weight of the present? Without a memory of the past and without the desire to look ahead to the future by building something, a future, a family? Can you go on like this? For Pope Francis, this problem is situated within a profoundly Catholic view of man, which is to say an incarnational view, a sacramental view, a view which embraces the whole person, body and soul, and insists that purpose and mercy are necessary for both if man is to avoid despair. I know, I know. It is easy to make jokes about the Pope thinking unemployment is the most important problem in the world. If this were a quiz show, very few readers of CatholicCulture.org would guess that answer! But for Francis this is just an angle of vision into a far deeper problem, which also applies to the elderly, who are no longer looking for work, no longer useful, and are isolated and neglected, often without either faith or hope, with no Christian solidarity through which they can experience the Presence of the Living God. If we have eyes, then let us see. And please, please, let us also learn to read. For Pope Francis, the way to renewed strength for the mission of the Catholic Church is for Catholics at every level to identify with all those in need, to live in genuine solidarity with them, and to invite them as friends into the rich life of faith, hope and love offered by the Mystical Body of Christ. This idea should not be completely new to our readers. 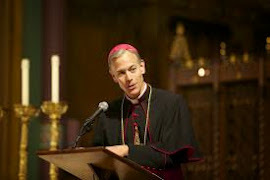 CatholicCulture.org has stressed repeatedly, especially over the past few years, that they key to cultural renewal is for Catholics to depoliticize and “begin again to provide the kind of generous and deeply personal service to those in need that turns heads and changes hearts” (see, most recently, Public Life and Godly Mission: What Are the First Things Today?). We are not talking here of merely secular service, the service of the body, according to whatever cultural and political fashions are current year by year, and neither is Pope Francis. He is talking about a deeply incarnational commitment of the members of the Church of Christ—a commitment that seeks genuine solidarity first and foremost with those who are both materially and spiritually deprived. We ought to ask what the Church might look like a generation or two from now if her members could transform themselves in a truly incarnational vision such as this? What if the Church could live her essential identity more effectively both horizontally and vertically, fully responsible and fully engaged in every diocese and parish, responsive to but not generally dependent upon specific instructions from Rome? Do we assume this would weaken the Church? Might it not instead reverse a progressive weakening that has been going on now for centuries? I suppose there are other aspects of the interview which might raise eyebrows. I suppose also that we wil remain anxious about the number of people, including too many within the Church, who are so eager to cite the Pope superficially to justify their own worldliness. But it must not be so with us and so, to use Pope Benedict’s term, I am trying to provide the right “hermeneutic”, the right framework for interpretation of a pope who not only gives interviews but preaches very pointed homilies; who not only insists on the full gospel message but condemns abortion; who not only embraces all men and women but upholds the importance of sound and patient catechesis; who not only insists that every level of the Church live up to its mission but is willing to excommunicate Catholic leaders who deny that this Catholic mission is, in fact, the mission of Christ. In closing, let me say again that I would not insist that Pope Francis always identify exactly the same specific symptom as the “most serious”; indeed, I would expect his way of talking about the larger problems we face to vary significantly in different settings and at different times. This pope is not primarily a scholar, and he seldom employs the scholar’s academic precision. Neither does Scripture. And neither would I laugh too loudly at anything he may say about particular symptoms, considering the vision and grace which animate his selections. We all have many things to learn, and many ways to grow. The more deeply we go, the more surely we recognize that everything leads back to Christ. Sometimes, unfortunately, we can make this leading to Christ more difficult than it needs to be. This post seemed apropos to our world today. On so many levels we need a reality check when things seem too much to understand. Two things are certain...Sin and death will not prevail against our Church and Christ will come again. Thank you http://ascentofcarmel.blogspot.com for this post. The history of the Catholic Church is full of all sorts of heresies that have assailed the truths of the faith. From the earliest days of the Gnostics and Docetists all the way down to the Jansenists and Quietists of later centuries, it seems there has never been a shortage of heretical thought. But in each age, God has brought forth great members of the faithful to combat each one. Each one gave their life in service to Christ and His Church in their own way, either as martyrs, confessors, or simply as servants to others for the sake of the love of Jesus. The following is a list of fifteen of the major heresies that the Church has faced, and the illustrious persons who stood against them. Pelagianism radically corrupted the Church's teachings on grace, sin, and the Fall. Its namesake, the British monk Pelagius (who was startled by some of the words of St. Augustine in his Confessions), taught that the sin of Adam had no bearing on subsequent generations; essentially, man was inherently good and unaffected by the Fall. In practice, this meant that a man could come to God by his own free will, no grace needed. Many saints fought against this doctrine - St. David of Wales stands out among them especially - but it was St. Augustine of Hippo, arguably the greatest of the Latin Doctors and "the Church's mightiest champion against heresy"2, who rose to fight against this inherently venomous strand of thought. Gnosticism was arguably the biggest heresy of the early Church, a Hydra-like species of varying sects and figureheads that espoused all manner of profane mysticism, asceticism, and produced many false gospels. Among its central tenets was that Christ was merely a spiritual being, and not a flesh-and-blood man, that God the Father was actually a malevolent Demiurge, and that all matter was inherently evil. The chief saint who fought Gnosticism, and dismantled all aspects of it was St. Irenaeus of Lyons. St. Irenaeus' monumental work, Adversus Haereses, is a systematic account and refutation of every Gnostic sect presumably known by St. Irenaeus at the time. He tenaciously held that Christ was God in the flesh, for if Christ was merely a phantasm, then He did not suffer and die at all. His writing is essential for understanding the heresies that assaulted the Church in the first two centuries of its existence, as well as being an incredible account of apostolic tradition up to his time. Aside from the various Gnostic sects that plagued the early Church, it is Arianism that is arguably the most famous of all Christian heresies. It struck at the very root and core of Christian teaching, that Jesus was God Himself in the flesh, and relegated the person of Jesus Christ to that of a mere created thing. It lives on today in varying forms, from well-known sects like the Jehovah's Witnesses all the way to the bizarre world of Apollo Quiloboy; moreover, it still lurks within the sentences of some modern theologians who ambiguously state that Jesus is "the Christ" but no more than an exalted man. 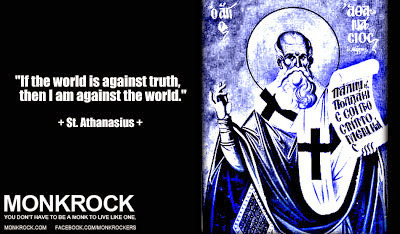 St. Athanasius of Alexandria was the walking cure for this heresy. Stubborn and unshakeable, I think it not a stretch to say at times that this great man stood alone against wave after wave of Arian attacks on the truth of the Christian faith. By emphasizing and stubbornly holding to the truth of Christ as both God and man, St. Athanasius (along with others such as St. Hilary of Poitiers) effectively ended the reign of the Arian heresy within the Church. St. Cyril of Alexandria was not known for his subtlety when it came to those who would attack the revealed truth of the Christian faith. When Nestorius arose on the scene, Pope St. Celestine I sent St. Cyril to quell the heresies spread by this man. Nestorius' error was essentially (and might I say, ironically) two-fold: the Blessed Virgin Mary was not the Mother of God but merely the Christotokos (meaning "Christ-bearer") and who also effectively claimed that Christ was really two persons accidentally united in one body (one divine, one human). Against this, St. Cyril defended the unity of Christ's person as both God and man with a ferocity that I have personally not witnessed in writing since St. Jerome defended the perpetual virginity of the Virgin Mary against Helvidius in 383 AD. St. Cyril's brilliant defense of the person of Christ at the Council of Ephesus forever set up an impenetrable fortress against all those who would attack both the Incarnation and the Mother of God. Monothelitism declared that Christ had only one will (divine). Much like Monophysitism which had declared that Christ had only one nature (divine), Monothelitism is viewed by some as a compromise aimed at bringing Monophysites back to the Church. But by declaring that Christ had only a divine will, it amounted to little more than essentially stating that Jesus was not God in flesh but merely a human controlled by a divine will - Justin Holcomb of the Reformed website The Resurgence humorously describes it as "Jesus is controlled by Skynet"8. Against this heresy arose the valiant St. Maximus the Confessor, who is to this day one of the most revered theological minds of the Christian East. His defense of the orthodox doctrine that Christ had both a human will and divine will was met with fearsome resistance - he ended up having his tongue torn out and his right hand cut off for refusing to acquiesce to the Monothelite Emperor Constans II, before being exiled and dying soon after. Gnosticism again reared its ugly head in the Middle Ages, this time in the form of what was known as Albigensianism. With its dualist worldview and inherent dislike for the Church due to corruption within her own ranks among the clergy, Albigensianism began to attract an incredibly large following, divided into the "perfect" and "believers." Though often romanticized nowadays due to the revival of interest in Gnostic ideas and history within the New Age movement, from my point of view, it was anything but. In fact, it was alarming in its view of all matter as evil - suicide by starvation was encouraged among its members, in order to free the soul from the body. In fact, when a run-of-the-mill "believer" was given the spiritual baptism whilst seriously ill and/or dying, and happened to recover somehow, they were "as often as not smothered or starved to death (endura) in order to assure [their] salvation,"10 because only once could this ritual be performed. One does not exactly hear of the movement known as Latin Averroism too much these days. But it was indeed a kind of heresy, if you will, a school of thought that attacked the truth of Christian dogma and belief at its core. Influenced by the Islamic philosopher Averroes (Ibn Rushd, labelled by the Scholastics as "the Commentator" due to his extensive commentaries on Aristotle), the Averroist Scholastics taught a kind of double truth. For the Averroist, something that was true in religion and theology could be at the same time false in philosophy and practicality. Mixed in with this paradoxical notion of "true and not true at the same time", the Averroists also held that the world had always existed, and that there was only one collective soul in humanity. Against this school of thought, St. Thomas Aquinas rose like a mighty fortress to protect Holy Mother Church. Instead of outright dismissing the thought of Aristotle like some (due to its being associated with this new movement in thought, as well as some of Aristotle's ideas themselves), St. Thomas Aquinas answered the Averroists by using Aristotle himself. With precision and common sense, the Angelic Doctor pointed out the corruptions in the translations of Aristotle used by the Arab philosophers, corrected abuses of Aristotle's thought, and harmonized faith and reason rather than separating them into two spheres of truth. All in a day's work for one of the greatest minds the Church has ever known. With the Calvinist population staunchly refusing to listen to his words, St. Francis began to write and distribute pamphlets on the truth of the Catholic faith. These writings were compiled later on into one work, probably the greatest apologetic work against Protestant objections ever penned - Les Controverses. Known as "the gentleman saint", St. Francis' untiring love for souls (especially seen in his other great work, Introduction to the Devout Life), his knowledge of the faith and history, and his incredible ability to adapt and endure all manner of obstacles and hardship sent against him make him arguably the greatest of the Doctors who went forth against the errors of Calvinism. Monophysitism was essentially the opposite of the Nestorian heresy mentioned above; where Nestorius emphasized that in Christ "there was both a human hypostasis or person and a divine"19, the Monophysite heresy declared that Christ had only one nature, that His humanity was absorbed into His divinity. While the heresy of Nestorius was largely vanquished twenty years earlier by St. Cyril of Alexandria at the Council of Ephesus, it was Pope St. Leo the Great who arose to do battle with the heresy of Eutyches and the Monophysites. Iconoclasm, the rejection of the use of religious imagery in worship (icons, statuary, and even extending to the use of candles, incense, etc.) had a complicated history. In the early centuries, it was to be found amongst the heretical Paulician and Nestorian camps, but it was also espoused by some within the Church (including, very early on, St. Epiphanius of Salamis who "fell into some mistakes on certain occasions, which proceeded from zeal and simplicity."23). Moreover, the heresy of Iconoclasm found much of its influence and fuel in the rise of Islam, which was fiercely opposed to the use of imagery in worship. The chief heretic in this struggle was Emperor Leo II the Isaurian, who issued an edict forbidding the use of imagery in religious worship. St. John Damascene, considered the last of the Greek Fathers and the first of the Scholastics, immediately set to work defending the use of imagery by Christians since the earliest centuries of the Church. 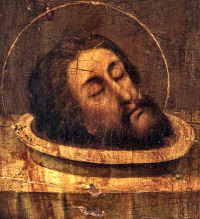 St. John was arrested by the Emperor, and (much like St. Maximus the Confessor) had his right hand severed as a punishment for his resistance to the heresy by way of his writings. Iconoclasm was eventually condemned by the Second Council of Nicaea in 787, but was resurrected again in the Protestant Reformation. The errors of Calvinism were not only to be found within the Protestant realm, but within the Church too did they take root as well. This Catholic/Calvinist hybrid was founded by the theologian Cornelius Jansen, who, like Calvin, took the writings of St. Augustine and ran with them to the most extreme conclusions. A species of ridiculous moral rigorism and religious fear spread its shadows over the Church. It discouraged frequent Holy Communion, espoused a form of moral perfectionism as being a requirement to even receive the Eucharist at all. So successful was its influence that it even found adherents in such brilliant Catholic minds as Blaise Pascal. Many great men and women stood firm against the pessimistic theology and destructive results of Jansenist doctrine, but it was St. Alphonsus de Liguori's writings and thought which effectively sounded the death-knell of this particular form of heresy. Against the rigorism and fear espoused by Jansenism, St. Alphonsus encouraged frequent Holy Communion as a remedy for sin as long as one was not in a state of mortal sin, and developed a finely-tuned moral theology that became the standard textbook of all Catholic moral theology since. He is to this day not only revered as a Doctor of the Church and founder of the Redemptorist order, but as the most excellent of teachers on the subject of Catholic morality. The heresy of the Brethren of the Free Spirit is not one that much heard of these days, but its influence is more widespread than is commonly known. Finding its beginnings in the Beguine and Beghard movement in the 13th and 14th centuries, this heretical movement found major inspiration in the sermons and writings of Meister Eckhart (though he himself denied any involvement with the movement). 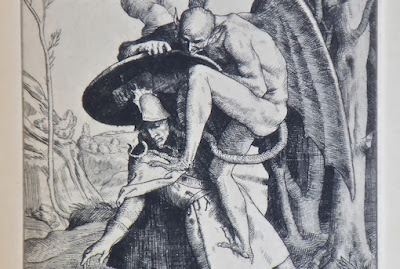 Emphasizing a form of indifference to salvation (a kind of proto-quietism), union with God in this life, and attacking the sacraments of the Church, this mystically-charged heresy began to spread itself all about central Europe. Though some of the followers of Meister Eckhart himself (especially Bl. Henry Suso) either denied involvement with the Free Spirit movement and/or attempted to correct its teachings and combatted its influence with that of orthodox mysticism within the bounds of the Church, it was the greatest of the Flemish mystics, Bl. John of Ruysbroeck, that led the charge against this particular brand of mystical heresy. The life of Bl. John is a fascinating one to peruse - spending much of his time in prayer and contemplation in the Sonian Forest near Groenendaal, his concern for the welfare of souls being led astray by the quietistic Free Spirit movement was such that he began to engage in open theological combat with them. 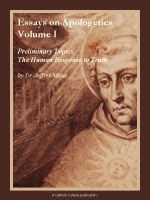 His writings are some of the best ever penned on the Holy Trinity, as well as on the mystical life. Instead of writing linguistically remote treatises that could never be accessed by the average person at the time, Bl. John wrote many pamphlets in the vernacular that defended the faith against heretical attacks by such Free Spirit figureheads as Bloemardinne. By emphasizing the deepest aspects of mysticism within Church orthodoxy, he effectively brought about the end of this movement, though not without being persecuted intensely by adherents of this heresy. Modernism is quite possibly the most controversial heresy mentioned on this list, because we are indeed, right up to this very moment, still in the throes of it. As for my own view, it seems to me to be the most ambiguous and chameleon-like of all heresies, and it can often be hard to pinpoint exactly where it is entrenched or where it has already passed through and damaged the faith. Modernism seems to have had its beginnings, somewhat officially, in the 19th century. Figures such as Maurice Blondel, George Tyrrell, Alfred Loisy, Friedrich von Hugel and many others are considered major figures within the movement within the Catholic Church; in Protestantism, I would argue that much of it was to be found initially in the thought of Friedrich Schleiermacher. Its effects are highly destructive - central to it is the idea that the truths of the Christian religion must be subjected to Enlightenment-style rationalism, relativism and secularism. The truths of the ancient faith are viewed as outmoded, and consequently subjected to rigorous demythologization. Additionally, the notion of the evolution of dogma effectivelly brought to bear a devastating assault on the truths of the Christian religion. The effects of a modernistic viewpoint are seen to this day in much theological thought, both Protestant and Catholic, in the writings of many major thinkers such as Hans Kung, Edward Schillebeeckx, Rudolf Bultmann, Karl Rahner, and a whole host of others. The status of whether many theologians and writers are actually modernistic is a hotly-debated topic. On the Protestant end of it, it was resisted mightily by the Reformed theologian Karl Barth, especially in his clarion call against liberal theology entitled The Epistle to the Romans. Though beforehand, the Syllabus of Errors of 1864 and the encyclical of Pope Leo XIII entitled Providentissimus Deus had begun to defend the Church against Modernism, it was the great Pope St. Pius X who arose as the greatest defender of the Church by warning of modernism's threat to the faith. Calling it the "synthesis of all heresies"28, Pope St. Pius X released Lamentaboli Sane (Syllabus Condemning the Errors of the Modernist) and his monumental encyclical Pascendi Dominici Gregis against the modernist school of thought. Reading the work is a frightening wake-up call to the insidious nature of the heresy itself - unlike the dangerous yet frankly clumsy assaults of earlier heresies upon the faith such as Arianism and Montanism, Modernism was said to have infected the Church from the inside. One is reminded of a deadly illness more than an attack. Pope St. Pius X also wrote the famed Oath Against Modernism which was required to be sworn to by clergy and others in the Church, and sought to warn the faithful before it was too late. Much work was done to extinguish modernist trends of thought within the Church thanks to this most venerable and saintly Pope, and to this day, he remains the most important saint to have ever fought against the poisonous infections of the movement. Without a doubt, the Alexandrian theologian Origen was the greatest mind of the early Church. Many of the great saints of the early Church were enthralled by his brilliance and his devotion - I would make mention of St. Basil the Great, St. Gregory Nazianzen, and St. John Cassian especially. Even St. Jerome, who became a bitter opponent of Origen's thought later on, still held him to be one of the most admirable and brilliant minds the Church had yet known. St. Francis de Sales and St. Elizabeth Schonau, writing many centuries later, also spoke of his great services to the Church. Nevertheless, some of the thought of Origen was exceedingly problematic. Being one of the first theologians proper of the early Church, he was prone to stumble when going too far deep into the truths of the faith. His tendency to over-allegorize, his teachings on the pre-existence of souls, amongst other things, ended up getting him into trouble later on. But, in all fairness to Origen, there is a huge difference between the man and what later came to be known as "Origenism". Origenism took latent elements in the experimental and speculative thought of Origen and often ran with it, much in the same manner, I would argue, as such men as John Calvin and Cornelius Jansen had done with the thought of St. Augustine. Several saints began to criticize Origenism as such, notably St. Jerome and St. Epiphanius of Salamis. But the first to systematically attack the errors in Origen's thought was one St. Methodius of Olympus. Himself well-trained in Platonist philosophy as well as the theology of the Church, St. Methodius vigorously critiqued the major errors in the thought of the great Alexandrian, including the eternity of the world and certain teachings of his on the resurrection. Though a devoted opponent of the thought of Origen, it is interesting to note that he still recognized his service to the Church. The errors of Origenism were finally condemned at the Second Council of Constantinople in 553 AD, though The New Catholic Encyclopedia promulgated under the pontificate of Pope Pius XI says that "it is not proved that he incurred the anathema of the Church at the Fifth General Council." Religious indifferentism is, in essence, a kind of sub-species of modernism. It undermines the truth of the Catholic Church as the one true Church founded by Christ, and essentially states that it is a matter of indifference which church one belongs to. In many ways, it amounts to what might be termed "pan-Christianity". 16 - The Catholic Controversy, "Author's General Introduction"
17 - William Barry, The Catholic Encyclopedia, "Calvinism"
19 - The New Catholic Dictionary, "Monophysites and Monophysitism"
25 - The Spiritual Espousals, found here. 30 - The New Catholic Encyclopedia, "Origenism"